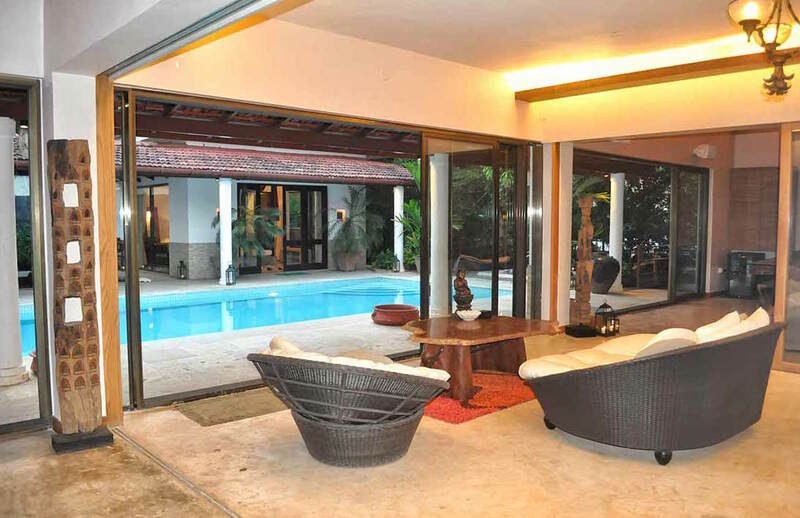 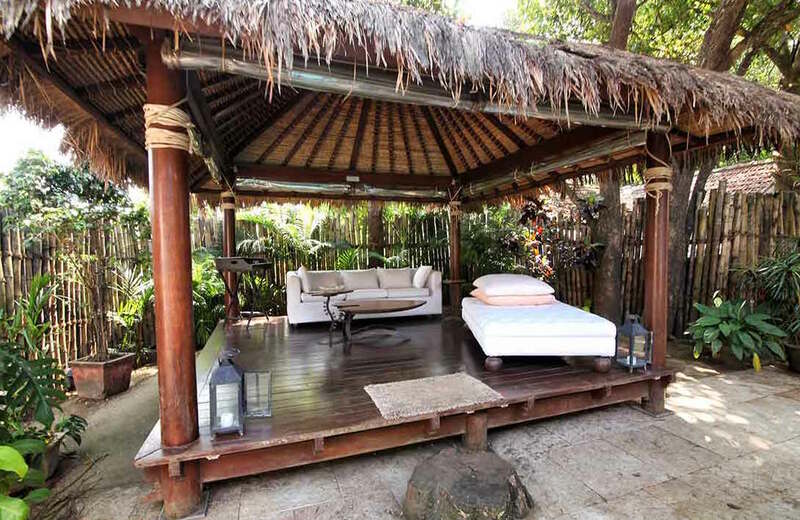 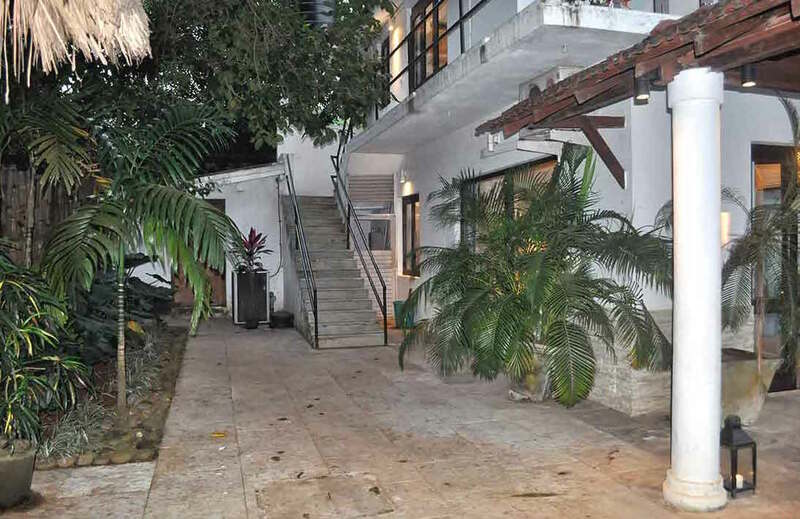 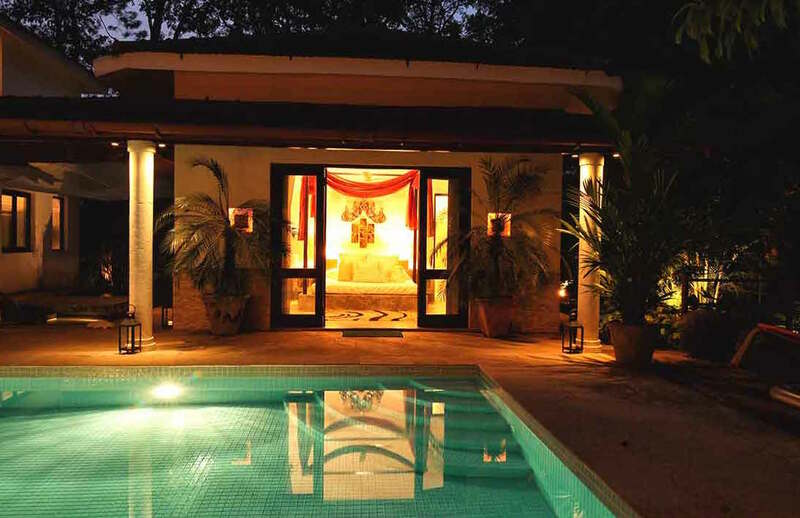 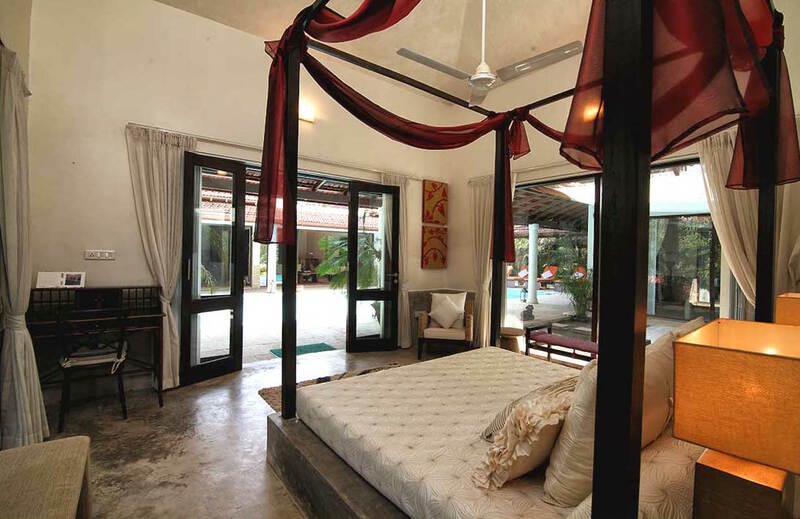 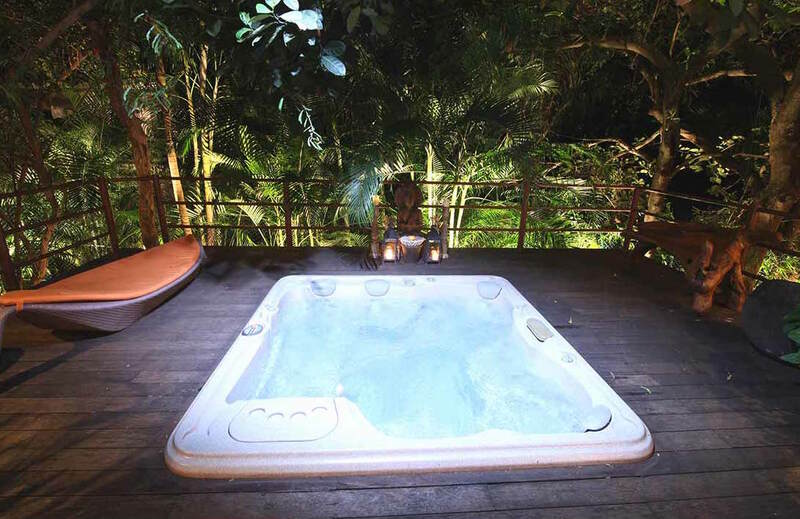 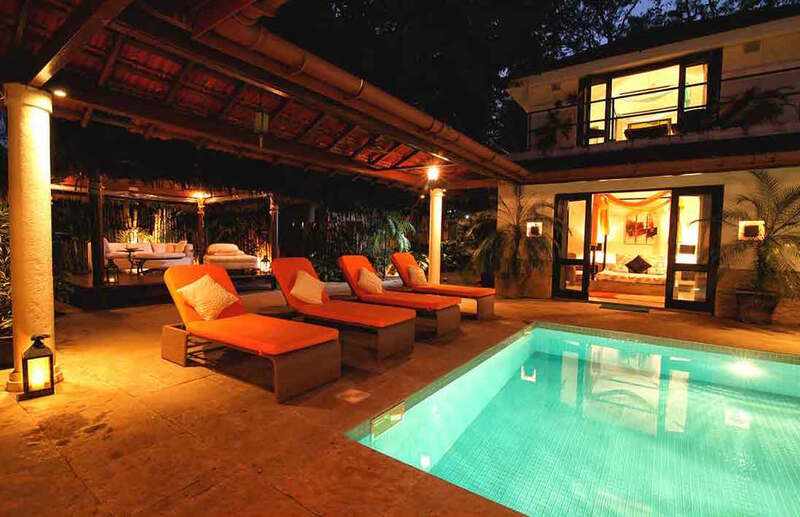 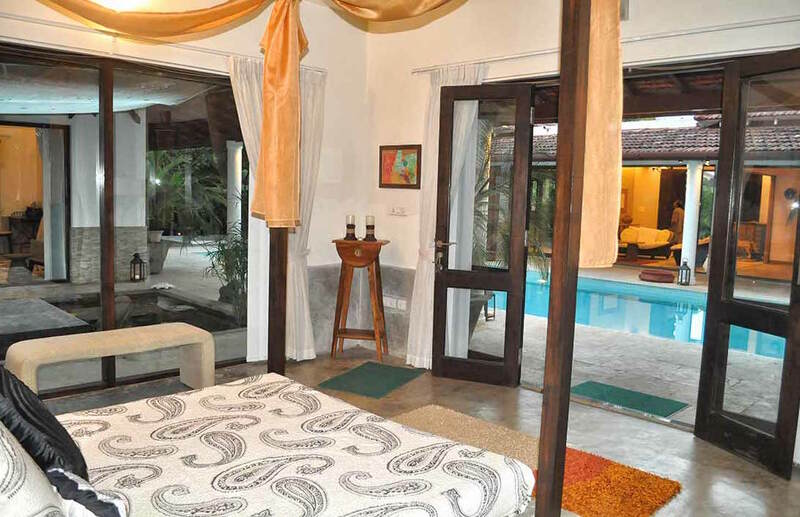 This villa can accommodate up to 6 people in 3 double bedrooms. 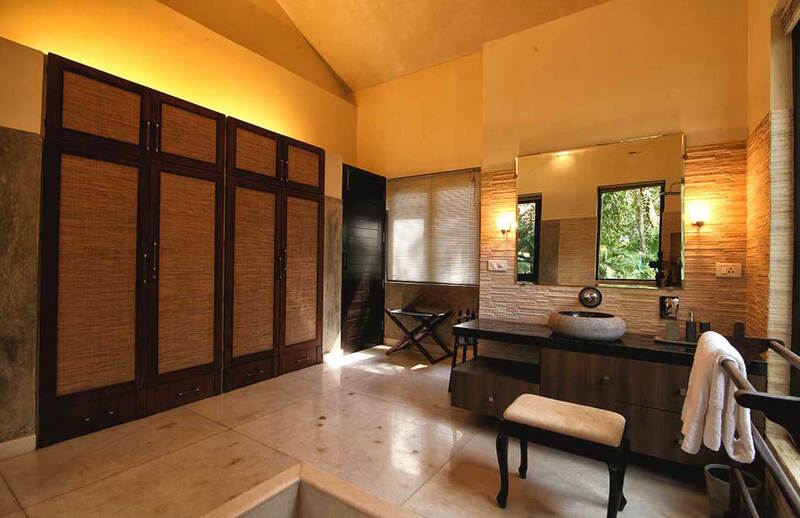 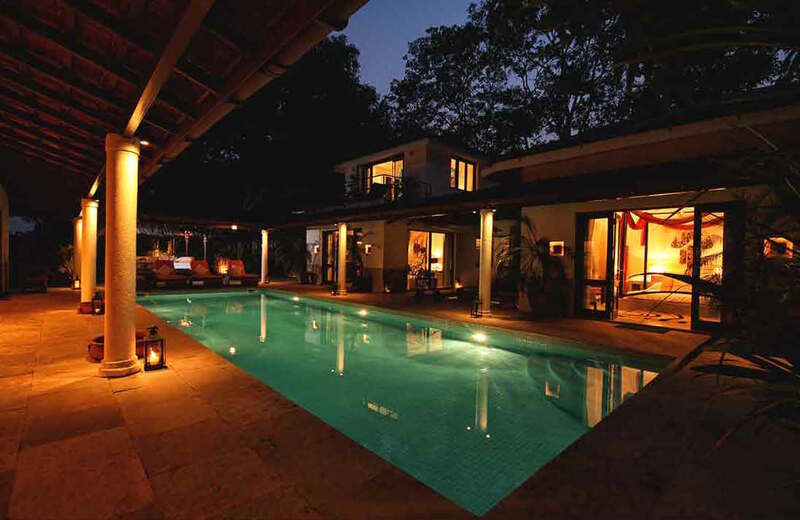 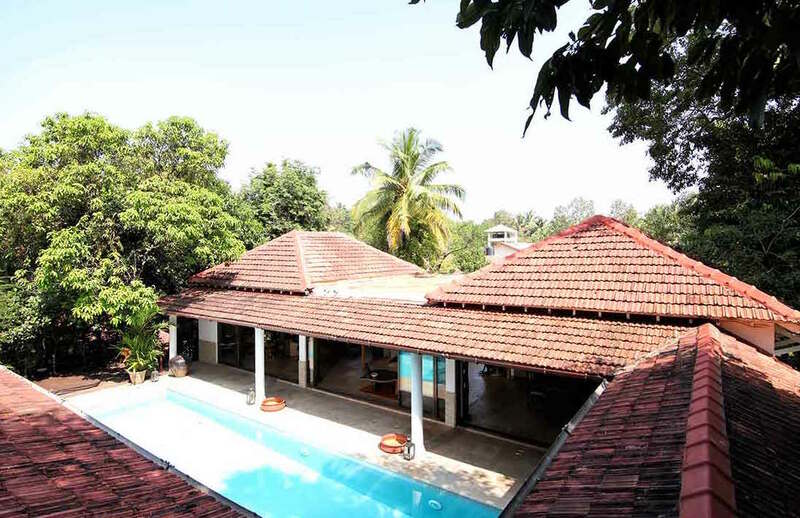 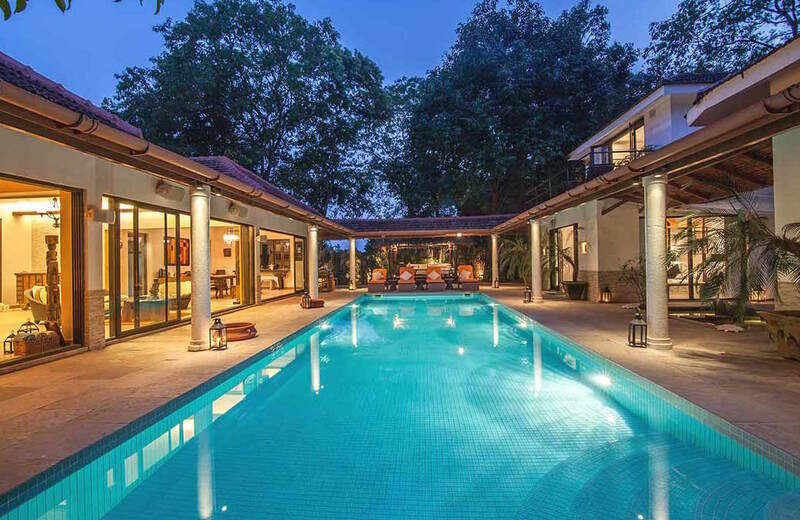 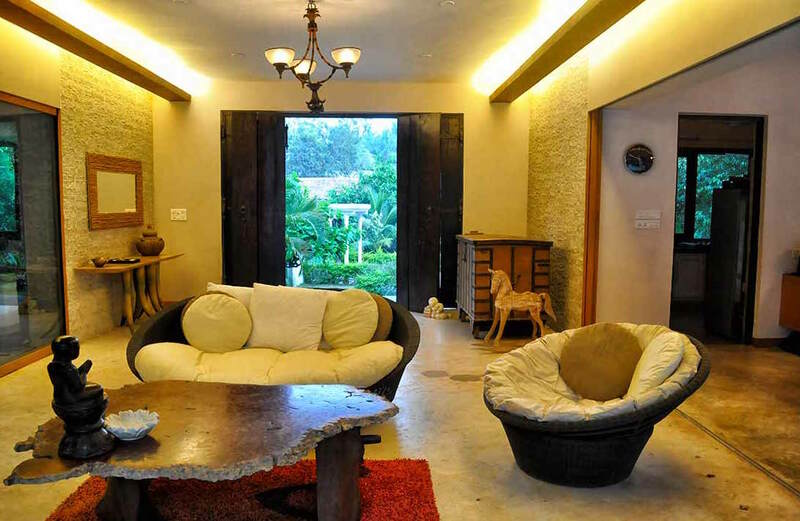 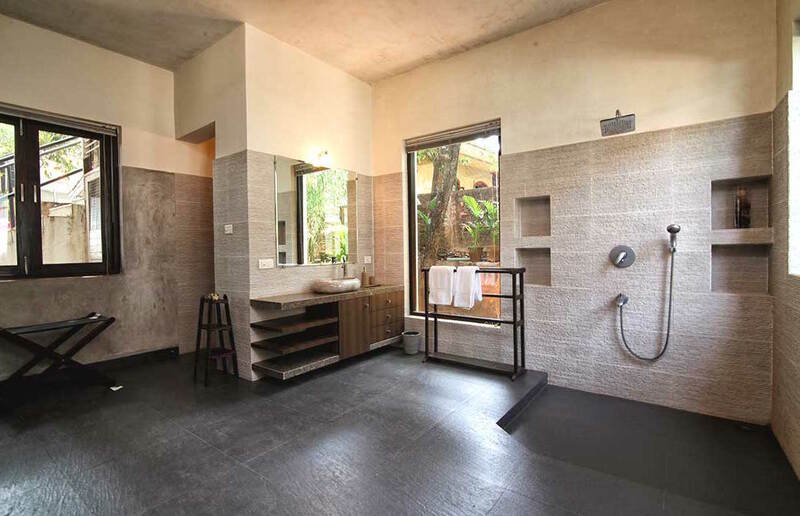 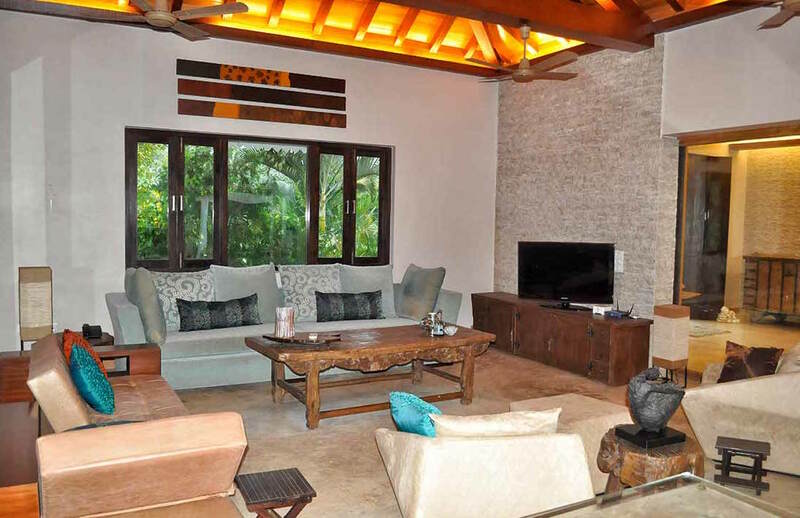 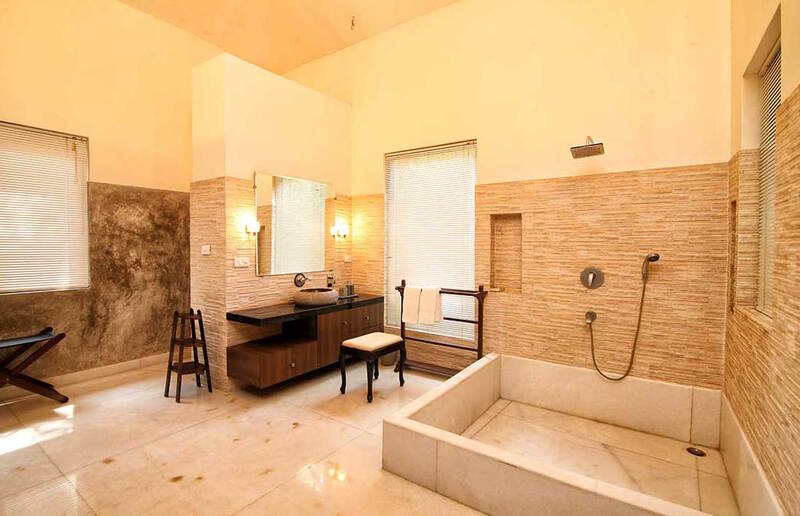 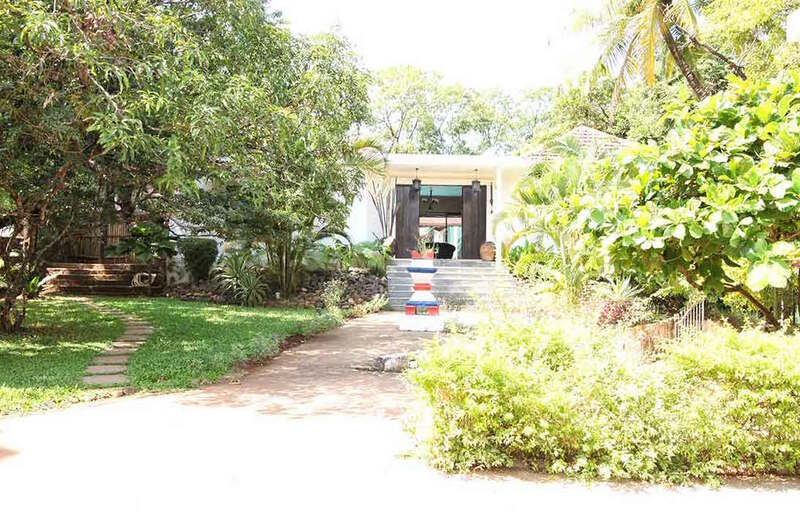 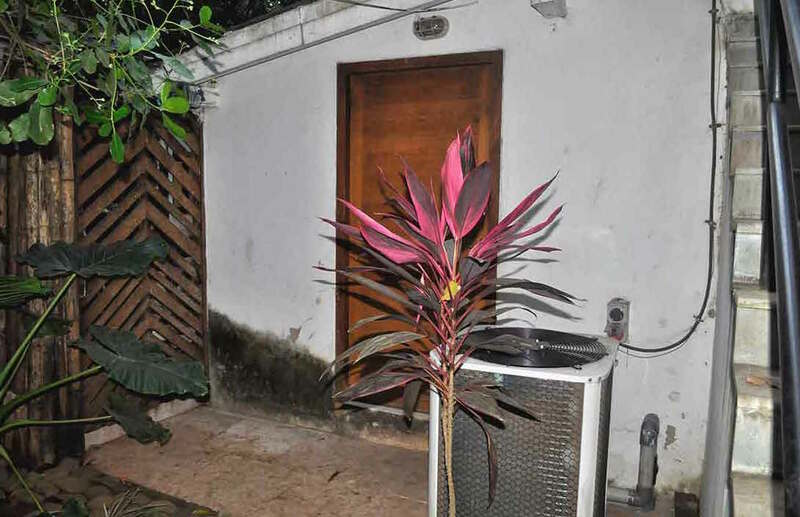 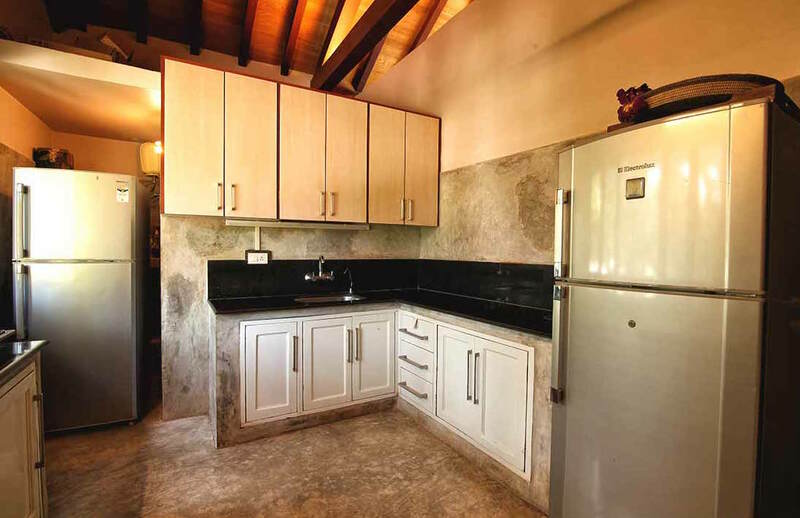 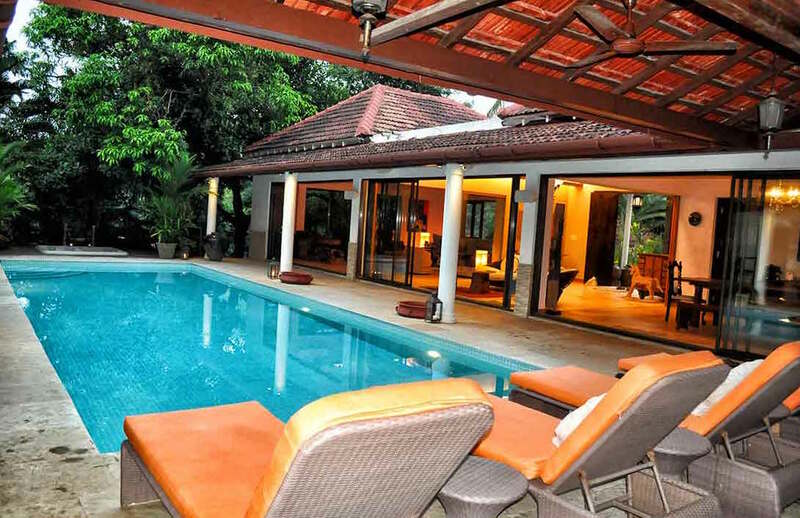 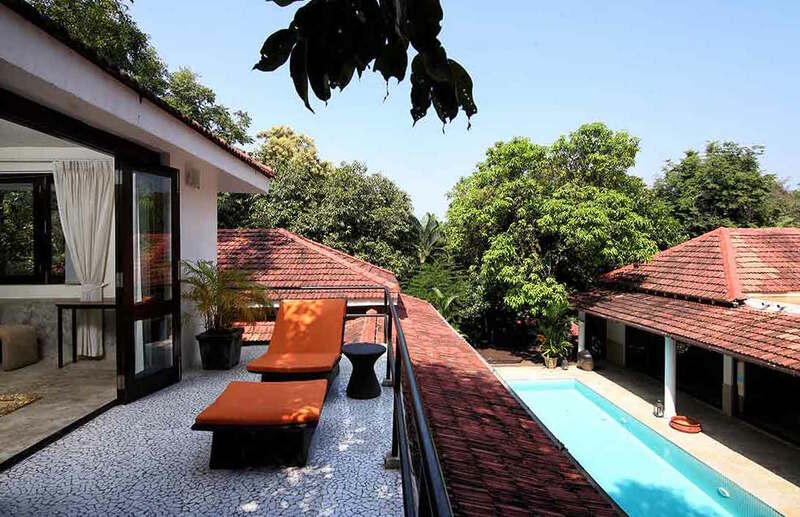 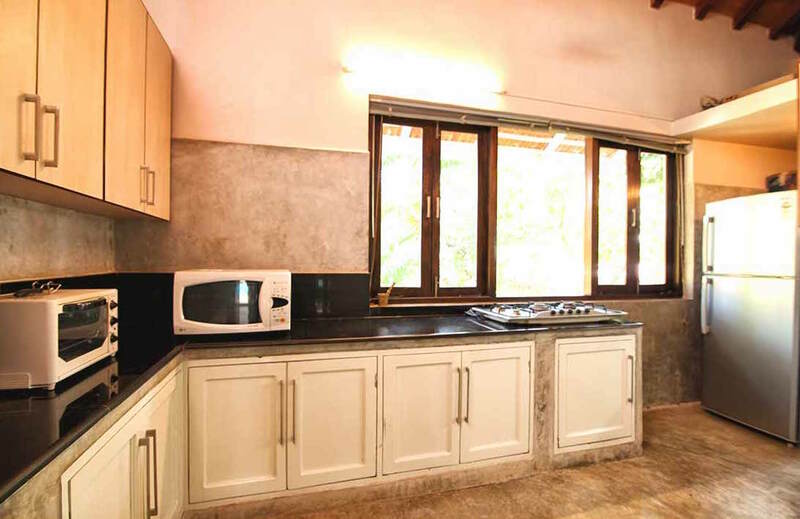 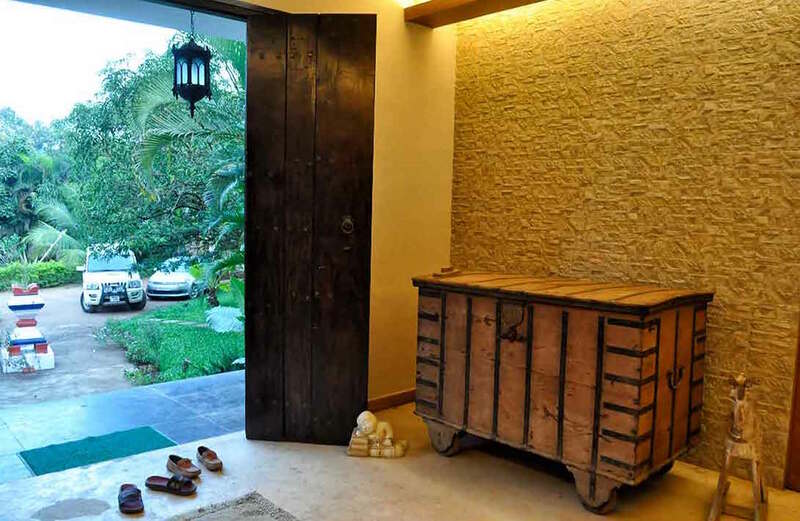 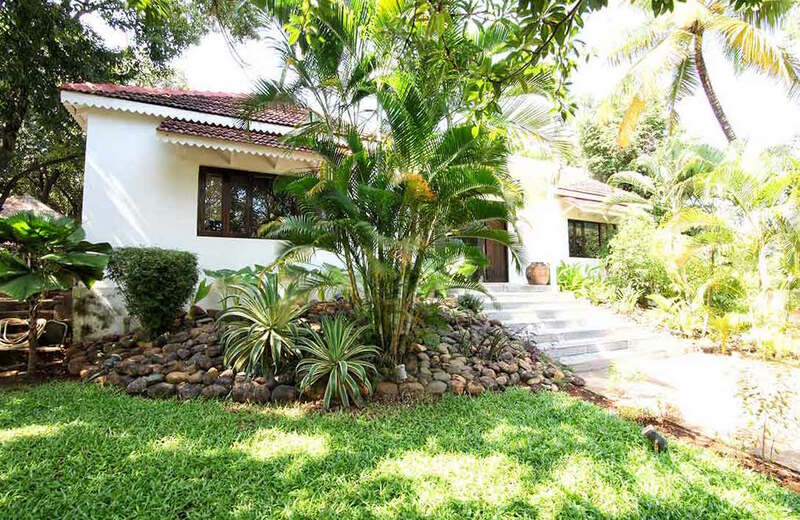 The contemporary villa is located in the heart of Vagator, sandwiched between Anjuna and Vagator beaches and tucked away down a quiet lane in a private enclave surrounded by tropical landscaping. 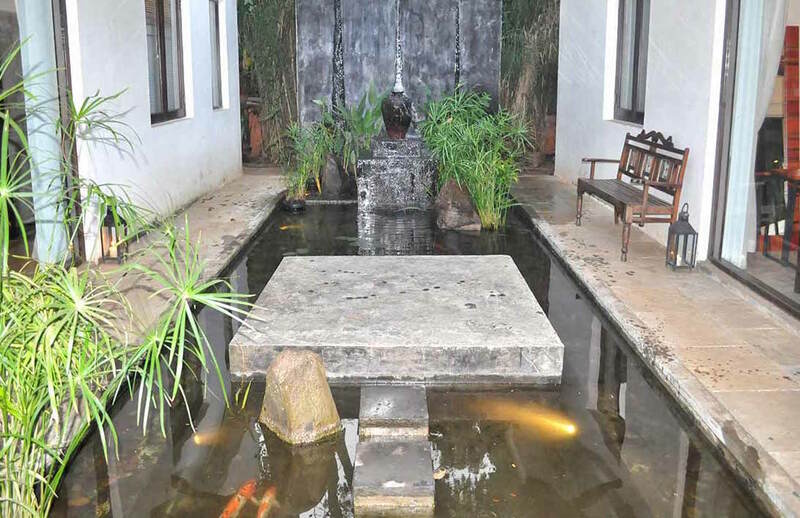 Two glass-enclosed bedrooms with enormous en suite bathrooms overlook the pool and are separated by a tranquil Koi pond and fountain. 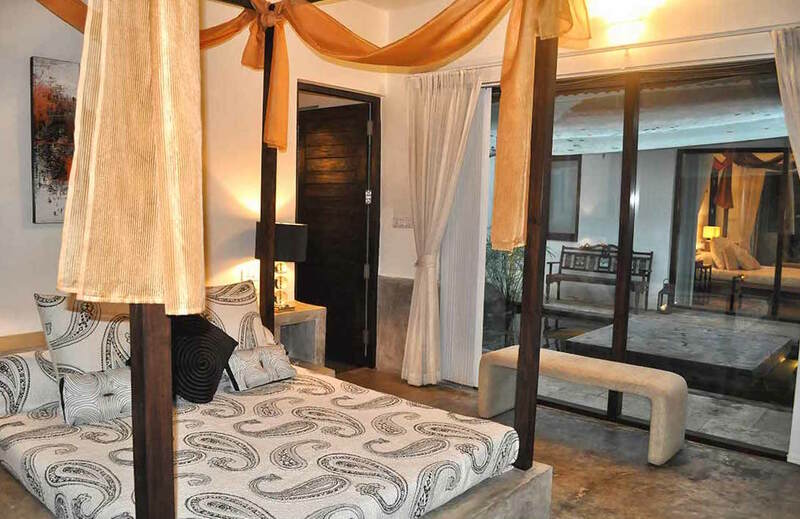 The third well-appointed en suite bedroom with walk in closet is on the first floor and boasts a balcony. 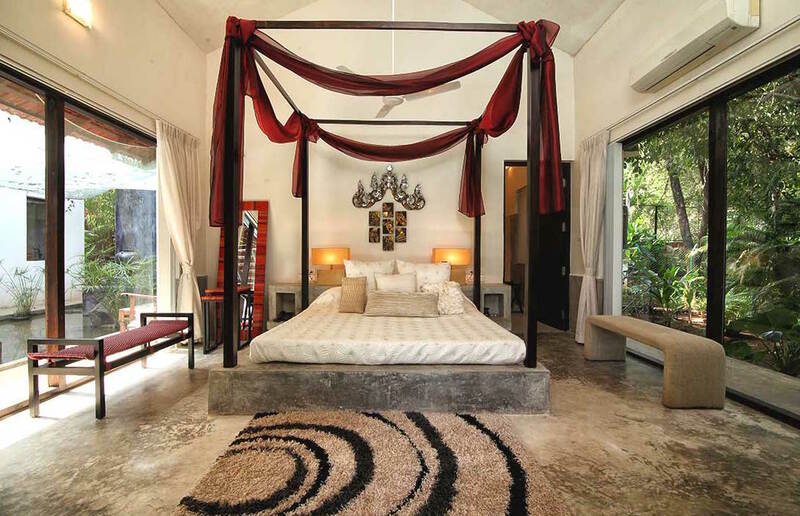 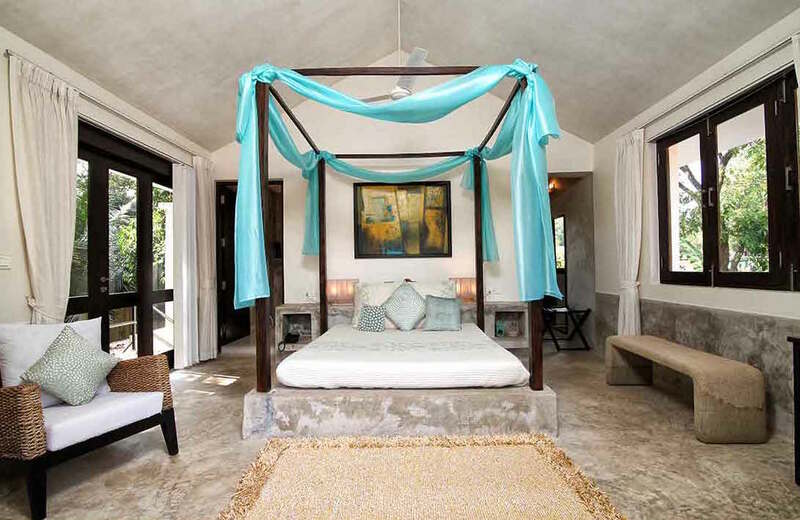 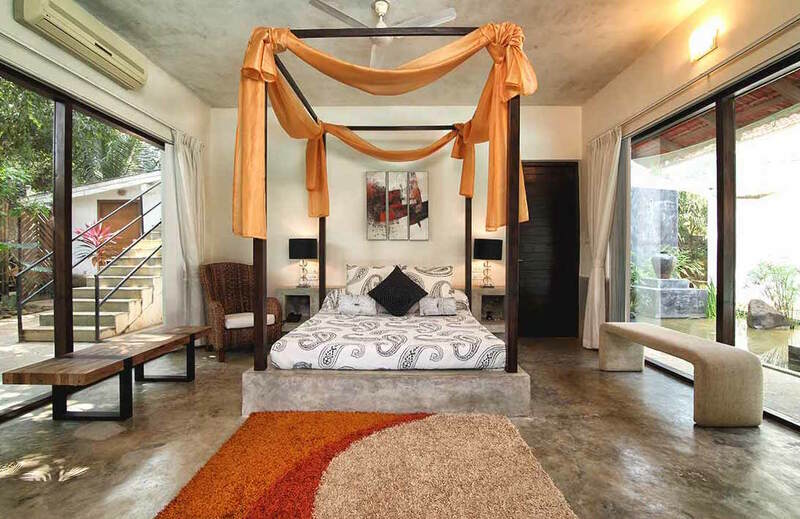 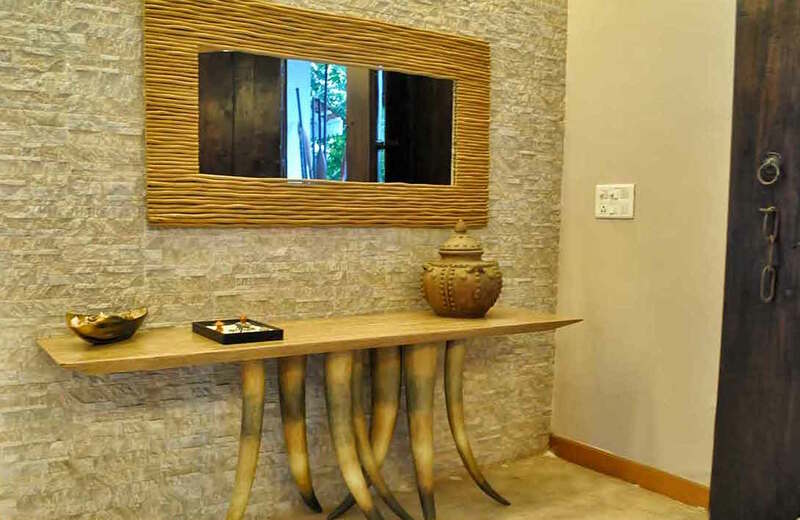 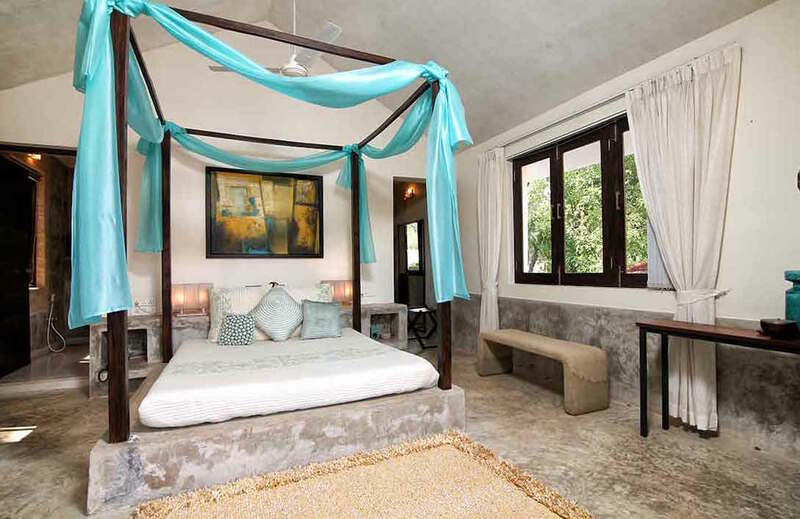 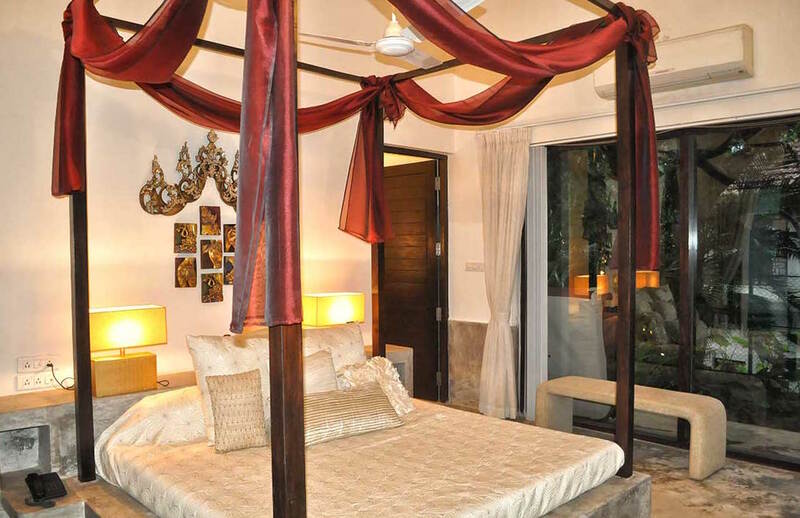 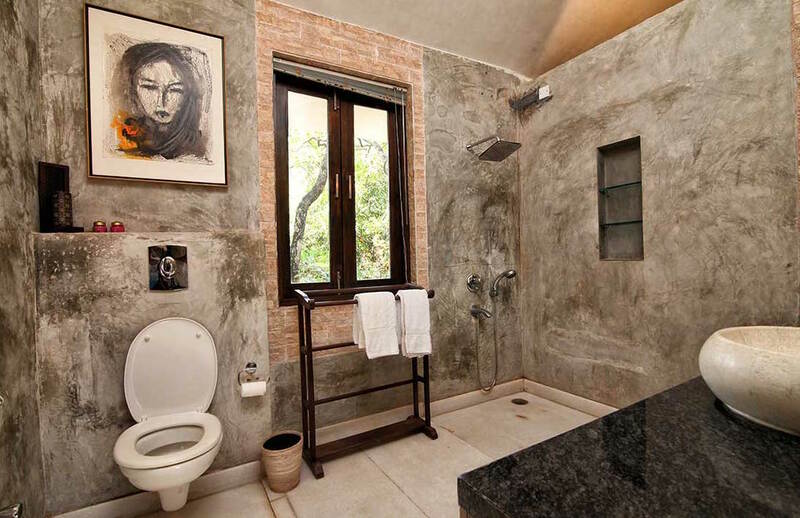 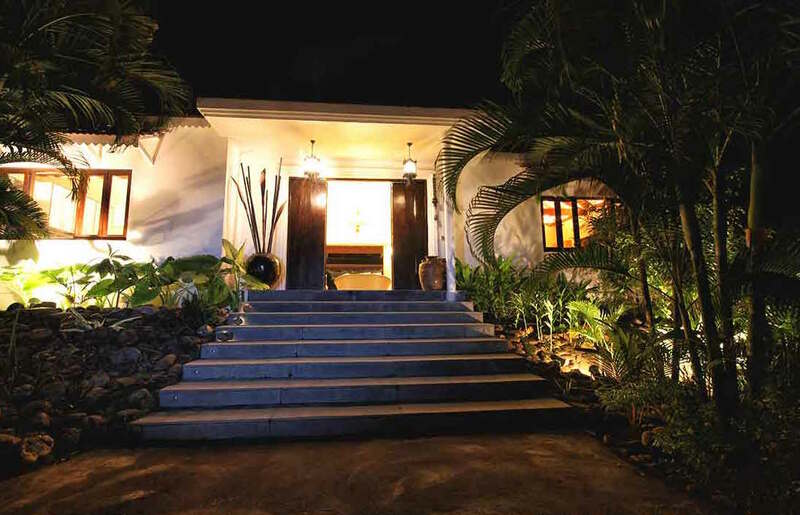 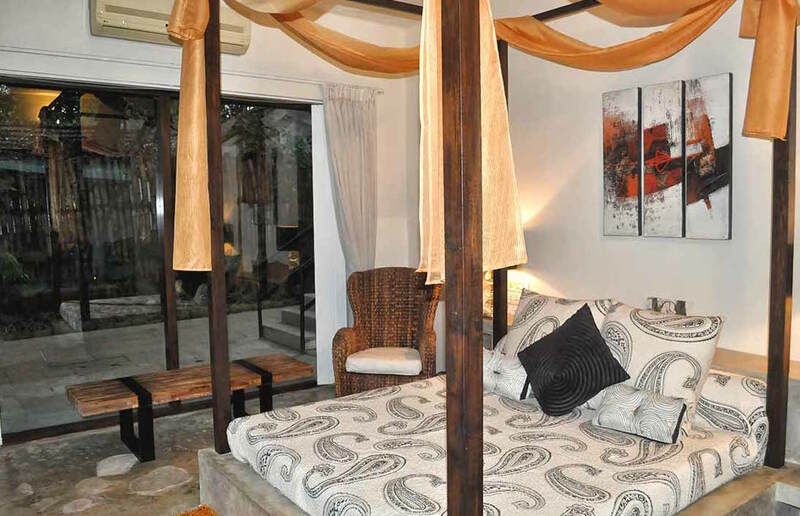 The villa is tastefully designed with handpicked art, sculptures and furnishings. 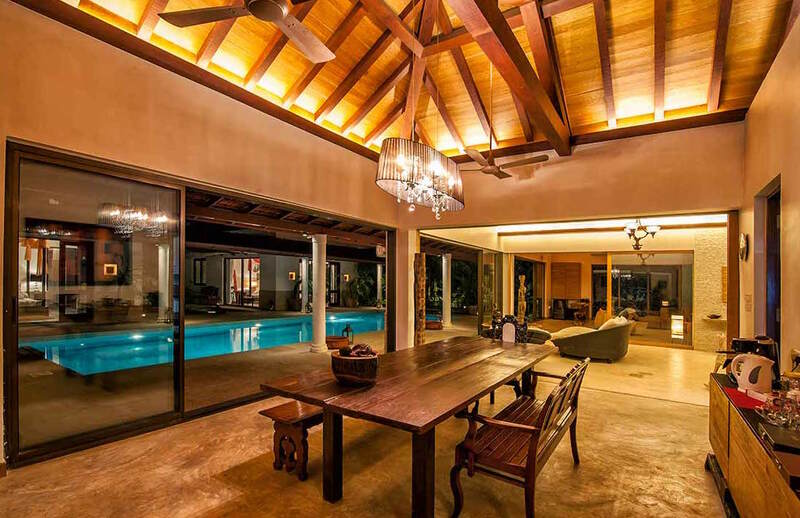 The open design living, dining, bar and lounge spaces flow seamlessly with the outside gardens, swimming pool and Jacuzzi. 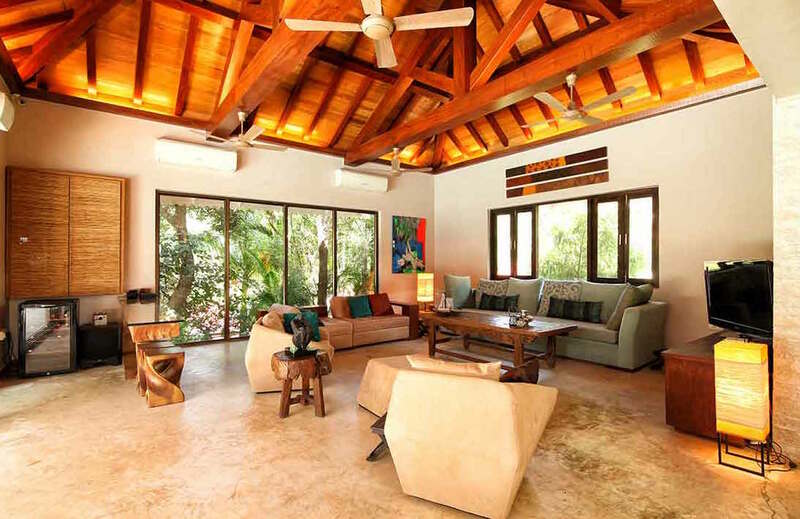 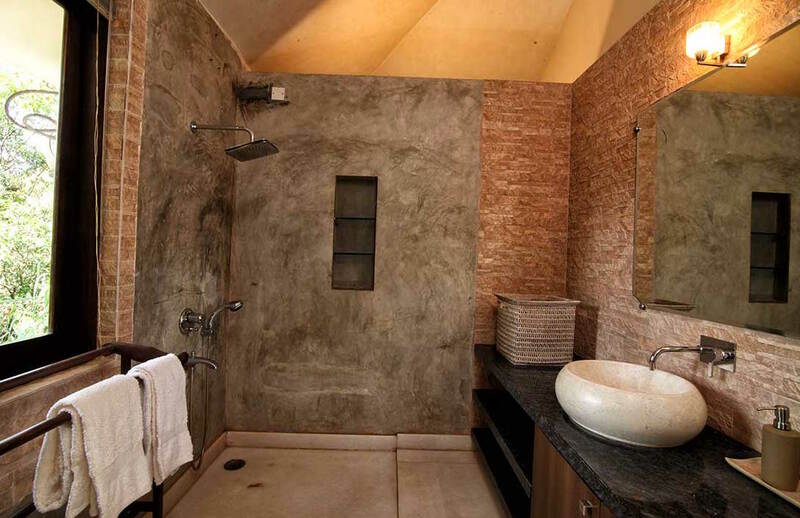 For air conditioned comfort, the inside can be screened off by floor-to-ceiling French windows. 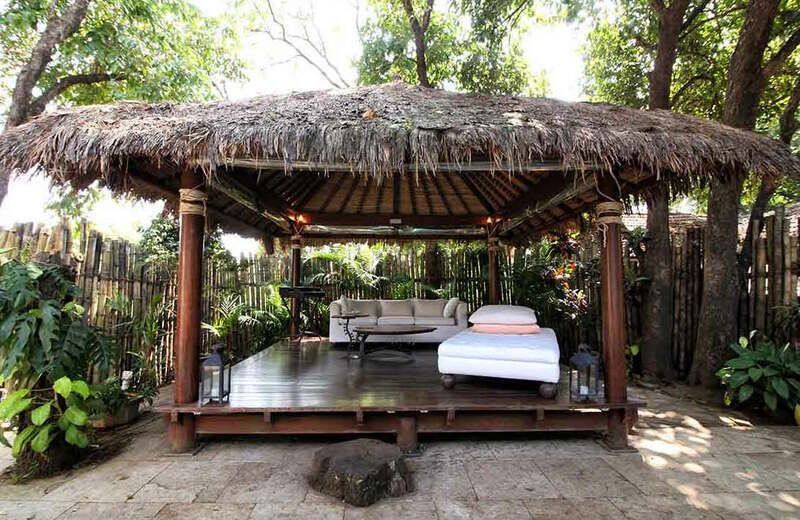 To one side of the pool is a Balinese gazebo ringed with palms that provides a shady retreat in the afternoons. 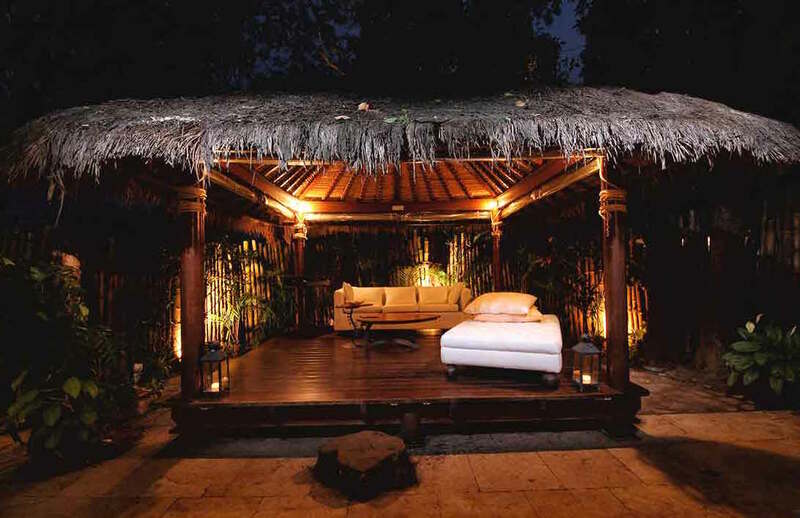 In the evenings, it is the perfect aperitif lounge before you step out to dinner. 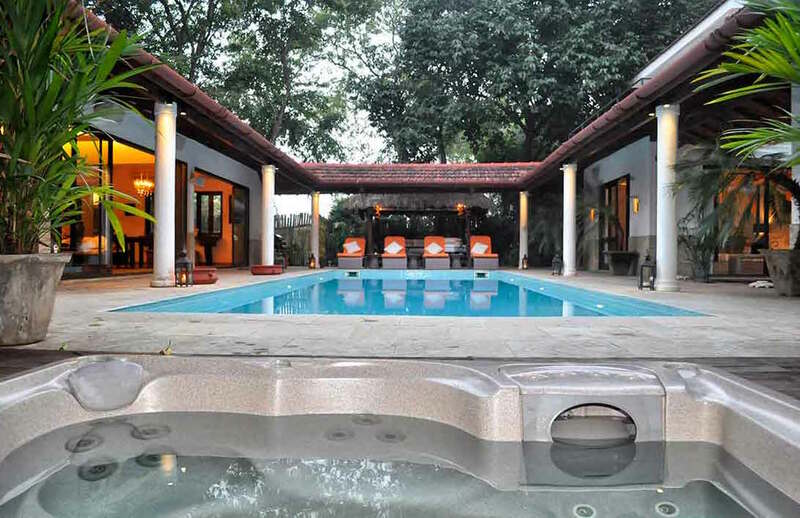 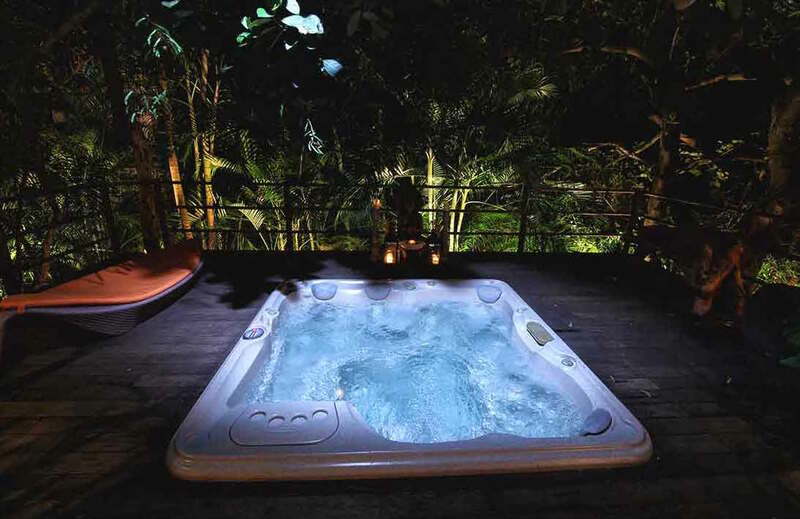 On the other side of the pool is a bubbling Jacuzzi with underwater massage jets. 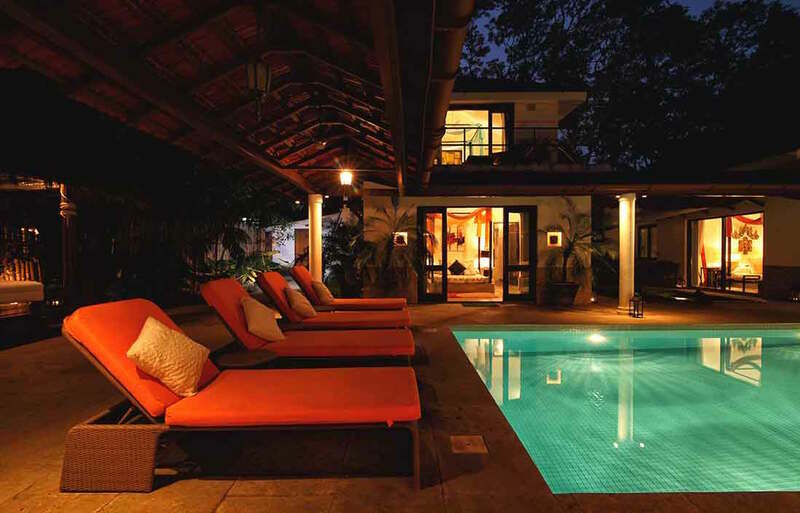 The pool can be heated during the cooler months. 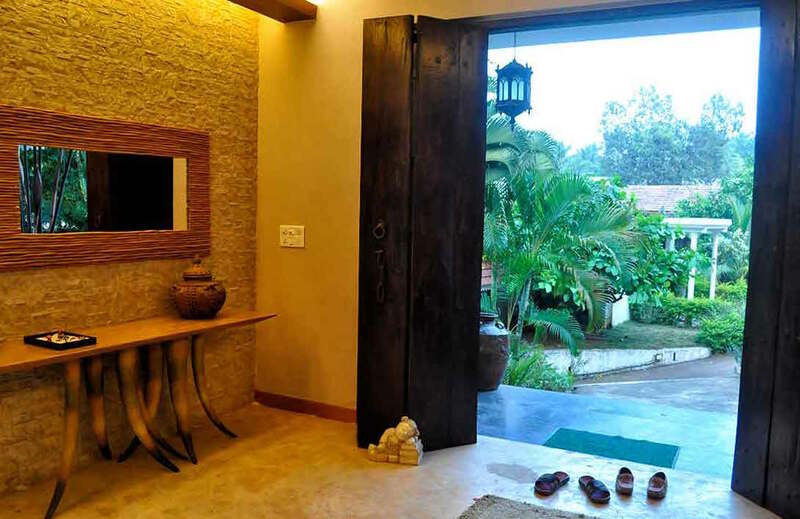 From the villa, Vagator beach is a 15 minute picturesque walk past shops, bars, juice stalls, old Portuguese houses and the historic Chapora Fort. 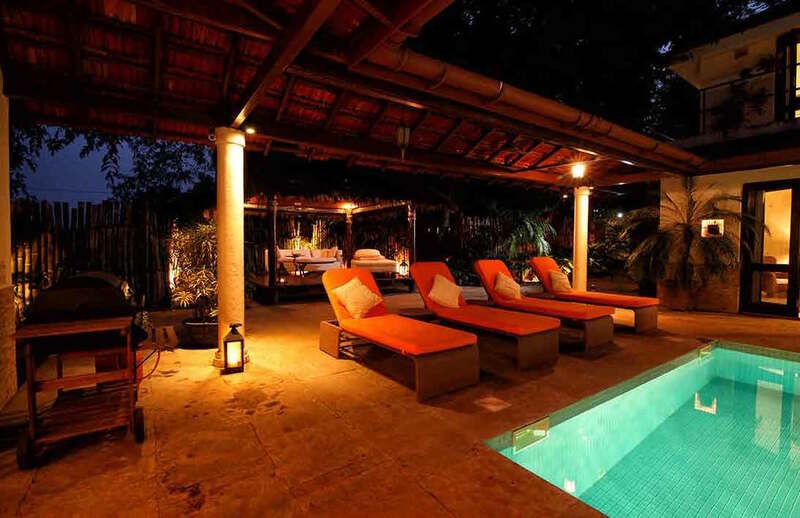 Some of Goa’s trendiest bars and restaurants are walking distance or within a 5km radius, run by internationally known chefs and serving up Japanese, Pan-Asian, European, and Fusion cuisines. 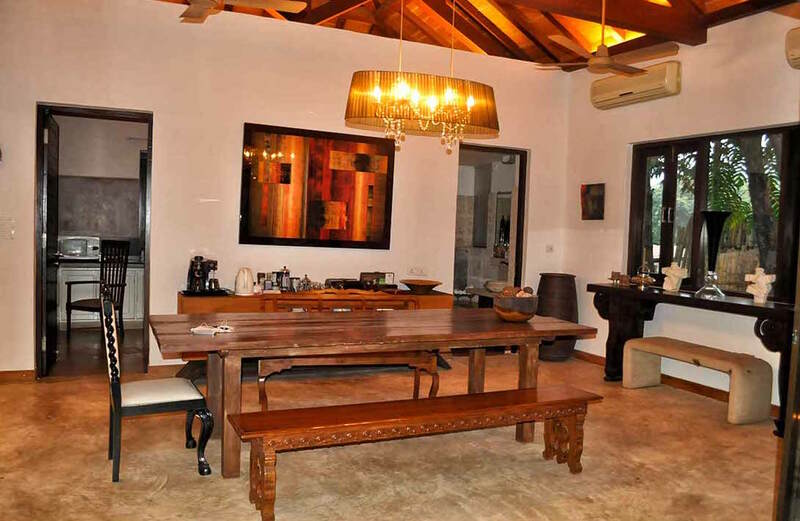 The villa’s staff provide breakfast every morning and are on call between 8:00 am to 9:00 pm.